When is the best time to exercise to get the benefits of physical exercise and make fat burning workouts the most effective? Finding time for exercise can be challenging – no matter when you do it, as long as you do your cardiovascular exercises for at least 30 minutes, you will burn the fat anyway. But to get the best possible result for investing your time and effort into your fat burning workout plan, you should get up early in the morning and do your cardio exercises such as running, walking, cycling, aerobics, etc before breakfast. 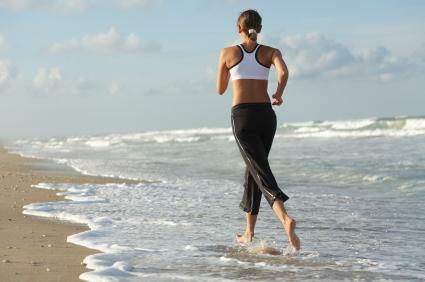 Exercising in the morning has major advantages compared to exercising later in the day. So, why is the morning the best time to exercise? When you do your cardiovascular exercises in the morning, not only do you burn the fat during the session, but the fat burning process lasts for hours after the workout session. This is because speed training workouts boost metabolism naturally. If you exercise in the evening you still burn the fat during the workout but as soon as you go to sleep at night, your metabolism slows down rapidly - it is significantly lower than during any other time of the day, so you would not benefit from an evening workout as much as the morning.